The moment we are are born, we are already one second closer to our deaths. Which is why it seems to make little sense that we live in denial that it will occur, or we strive strenuously to avoid any reminder or sense of it. We speak of it in hushed tones, we think we must shield children from it, we quiet the voices in our head by pretending moisturizer or botox or a new car will save us from the inevitable. 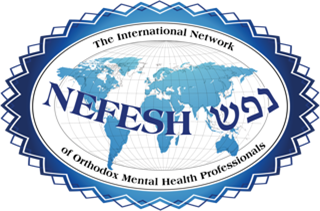 When I was a new therapist in private practice, I interviewed at RELIEF, an agency that handles referrals for mental health professionals in the Orthodox community. Knowing that my son was ill with cancer, they asked me if I sought to specifically counsel bereaved families. I responded that although such work has definitely interested me and happens my way, I needed to wait until I work through my own inevitable bereavement until I could solidify the theories and philosophies of how to approach death and dying in the therapy room. My son, at age 16, not only died peacefully, but his last months, weeks, days, and even hours were calm, happy, and even fun. And lest you say this must be a lie, this is not possible, I will tell you that my son wrote a document about six weeks before his death, saved on his computer called, “Sefer Ha’achron,(The Last Book)” and instructed us to read his last will and testament only after his death. This document attests to his positive frame of mind in face of full knowledge of his death. Perhaps this column is not the forum for this topic, perhaps it is the best place. Although each person’s experiences will illness, death, and dying is deeply personal; I believe, in my professional persona as therapist as well as my personal experiences, there are healthy ways to navigate this journey that are universal. It is my vision that in the same way my column has demystified therapy, so too I can begin to unmask the specter of death in ways that it becomes part of the human experience, despite the pain that both therapy—and death—can uncover. Let me begin by saying that I do not wish to cause pain to anyone reading this whose death experiences have been markedly different than those I describe here. Let me say that there are so many different deaths one can encounter; illness, accidents, and suicide and let me be very clear that in this particular column I am addressing the death preceded by illness. This column (perhaps only the first of others) will address in some small way how illness, death, and dying can be faced in ways that can be ultimately gentle and healing to the ill person as well as those who will be affected by the death; both family and friends. It is only a small sliver, but sometimes slivers can pierce the curtains that appear to protect us really only muffle the performance we need to hear and see on the stage of our lives. There are 3 scaffolding ideas that are invaluable when dealing with a cancer diagnosis and the possibility of death. Open communication about the illness, death, and related issues. Accessing physical, emotional, and spiritual support. Balancing the added role illness brings without neglecting the prior roles already in place. Of course there are many more things to add, but if I would want to educate any person newly flung into the world of illness, these three are the foundation that can differentiate between a home and its members either broken or empowered by the very same illness. Open communication is crucial. When illness strikes, there is a limited amount of strength one possesses. Strength exerted to keep a secret is a strength diverted away from fighting an illness and being emotionally available to loved ones. In addition, fear, anxiety, and depression thrive within secrecy but dissipates with open communication. People mistakenly assume that if a child is aware of a loved one’s illness or even of his own illness, then it will increase his fears and anxiety; but the opposite is true. Although the initial conversations may be difficult and arouse questions and fears, more conversation and clarity would reduce the emotional overwhelm. Even more importantly, conversation allows everyone involved to give input of how they are being affected, what their needs may be during this time, and offer explanations so that everyone affected can be given tools to cope with whatever will arise in an emotionally and even physically healthy way; including an imminent death and what that means in so many ways to both the ill person and the family. Once there is no secrecy, then accessing the physical, emotional, and spiritual help one needs is much easier. It is almost impossible to cope with serious illness, as caretaker, as sibling, or as the person who is ill without various supports. Our community especially has innumerable supports in place and accepting the help minimizes stress all around. Emotional support means being open with friends, family, joining a support group, entering therapy, having open dialogue with people involved with the ill person (school or work; synagogue, family, friends, neighbors) and not having to do it alone. And probably, being able to communicate openly with these entities would be another way of accessing physical support as well by way of favors that others will then feel comfortable offering and there will be comfort in accepting these favors (that really come so naturally to Jews). Spiritual support is crucial at this time, because it becomes almost a default that when tested with serious illness, one becomes polarized to either embrace a relationship with G-d, or to react with confusion, anger, and withdrawal. It’s a time to seek a mentor, a rav, or learn mussar; in any a person needs to make sense of tzaddik v’tov lo (Why Good Things Happen to Bad People and its reverse) or any other concepts that become sources of questions in faith and spirituality. A person that is able to discard secrecy and access various support systems is probably one who will be able to do the third task as well: balancing the various roles one always has juggled while adding one more that the illness requires. It becomes almost automatic that when a diagnosis occurs, the entire focus seems to be condensed in the illness and its challenging consequences. I cannot stress enough the importance of expanding that focus to include all of life that had preceded the diagnosis. Because whatever will happen, whether recovery or death, or even the long term, irreversible effects of treatment or illness (such as handicaps or disabilities), at the end of the day it is an even greater tragedy if the surrounding environment is adversely affected. If children are neglected, if holidays become somber, if school becomes irrelevant, if fun is discouraged, if feelings and people are disregarded. Because at the end, when what will be, will be, picking up those fallen pieces, those discarded roles and the many lives that will be destroyed will be the even greater tragedy of more than one life lost. I remember calling Dr. Norman Blumenthal, a colleague immersed in bereavement work, for guidance “How will we do this dying thing?” I asked him. I will never forget the words he told me. “Children from good families die well,” he said. The knowledge that there was a way to achieve a positive emotional outcome was the reassurance that informed the way we approached life, illness, and death. Which opens the door for one crucial detail. Because of course we are impacted by challenge. But it remains our choice of how we allow that challenge to affect us. And then dying can be another way to live. NOTE: THIS WAS ORIGINALLY PUBLISHED IN BINAH MAGAZINE'S COLUMN "THERAPY: A SNEAK PEEK INSIDE"